Much-in-love couple Shoaib Ibrahim and Dipika Kakar finally ties the knot in a Nikaah ceremony on February 22 in the presence of their close friends and family. The wedding took place in Shoaib’s hometown Bhopal. 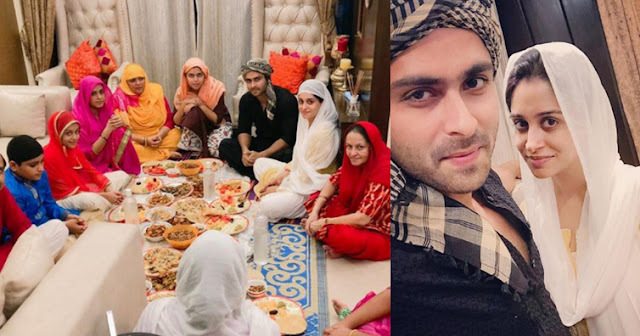 Dipika has also converted to Islam for marrying beau Shoaib Ibrahim and is now called Faiza. After getting married, Dipika is seen spending time with her family and enjoying her new phase of life. Now, Dipika celebrates her first Ramzan with hubby Shoaib and family. She looks extremely happy and into the rituals as the entire family sits down during Iftari to relish a meal.